Pori or Murmura is Puffed Rice which is airy and light. 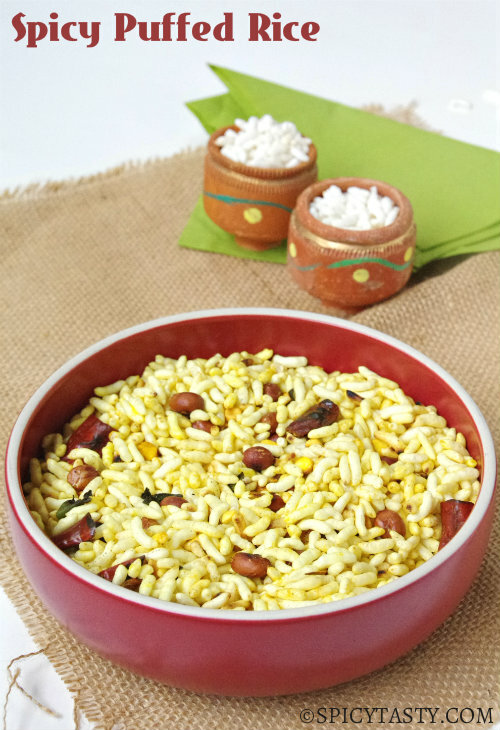 We make a lot of dishes with this puffed rice such as Pori Urundai, Bhelpuri, Jhal Muri, etc. 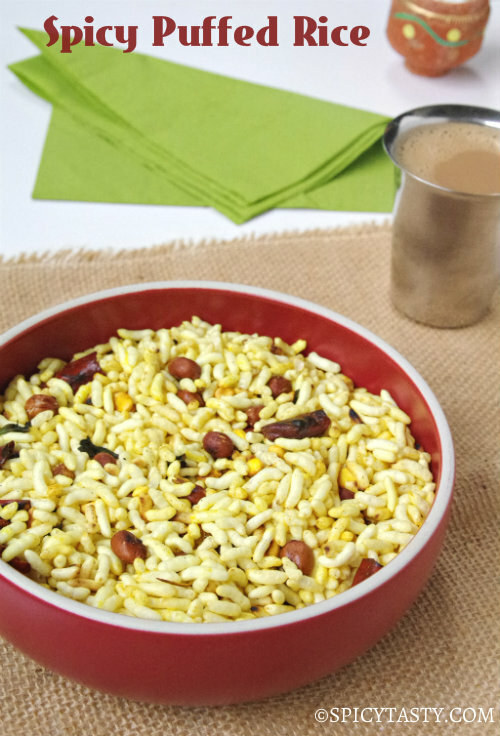 Today I have made a simple snack called “Kara Pori”, meaning “Spicy Puffed Rice”. You can make this simple snack for a movie night which will definitely leave your guests reaching for more. My friend Meena was talking about this dish and the flavorful roasted garlic which adds beauty to this dish. She made it for me today and what more can you ask for to enjoy it with a cup of hot tea. Heat oil in a deep pan and add mustard seeds. When it splutters add garlic, roasted chickpea and peanuts. When garlic and chickpea becomes golden brown add turmeric powder. 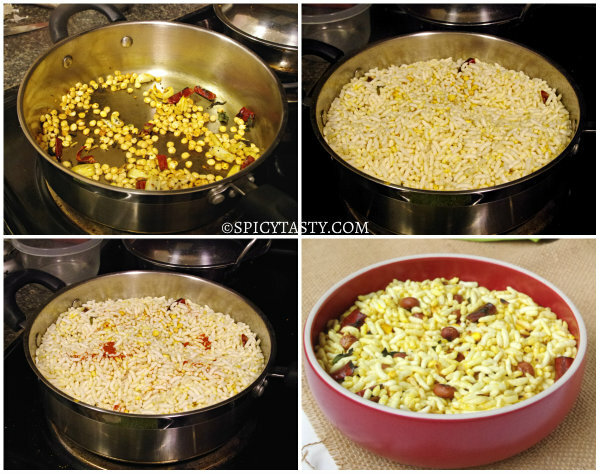 Toss it and add puffed rice. Mix everything well. Add red chili powder and salt. Keep tossing over medium heat until puffed rice becomes crispy. Remove from heat. After it comes down to the room temperature, store it in an air tight container. Crispy and crunchy looking murmuras. Excellent pics. So wonderful of Meera to present you this dish.